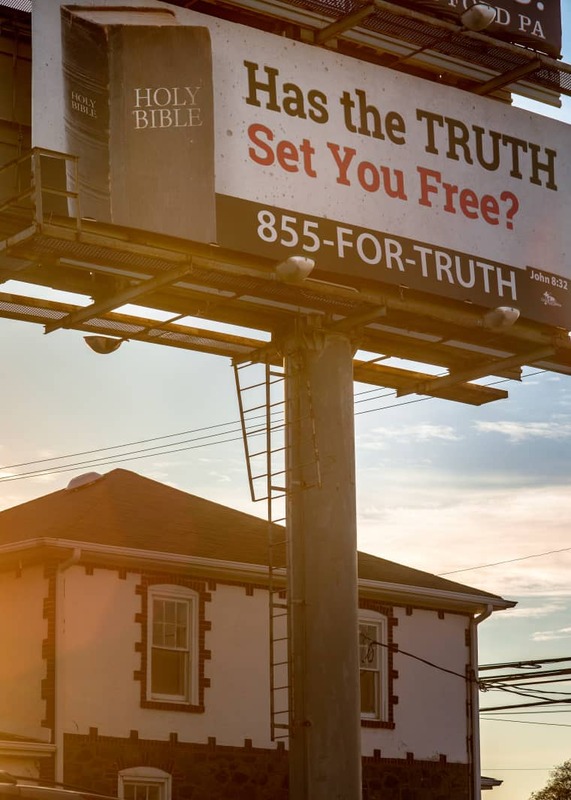 Billboard evangelists are decorating America in their image — and 2016 was their biggest year yet. That’s probably not a good sign. Christian Aid Ministries’s spending on billboards increased over 400% between 2010 and 2015. CAM's spending on billboards increased over 400% between 2010 and 2015 (according to its 990 tax forms and 2015 financial statement) — and it was funded by an increasing amount of individual donations. While CAM’s primary activities are aid distribution, church planting, and microloan programs in countries such as Ukraine, Moldova, Thailand, and Haiti, its donors see billboard evangelism as a form of spiritual outreach that is much needed stateside. “Churches will say, ‘We’ve sent many mission offerings overseas. Let’s do one for America.’ And they’ll donate for this particular cause,” said Miller, whose soft, kind voice is one of those that may greet you if you do call. CAM’s approach is not a new one. 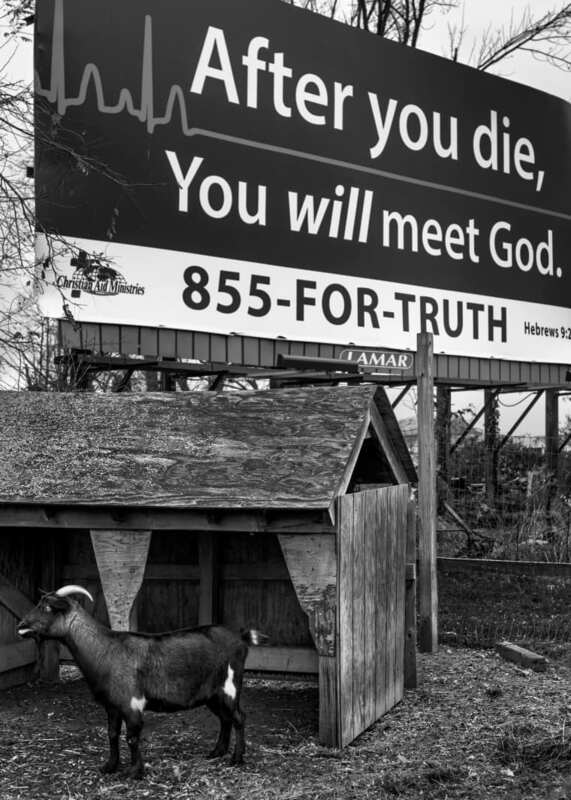 Back in 1998 an anonymous South Floridian paid Fort Lauderdale-based advertisers the Smith Agency $150,000 to develop a billboard advertising campaign that would inspire Americans to think about God while they went about their everyday lives. The result was the GodSpeaks campaign: a series of nine billboards displayed across Florida for a month with messages like “We need to talk” and “That ‘Love Thy Neighbor’ thing, I meant that” — all were “signed” God. The Smith Agency won an advertising award for the concept and the messages appeared on billboards across the U.S. on and off for the next several years. In 2013, GodSpeaks decided to relaunch its campaign with new copy developed with a less critical, more loving God in mind. “We felt a real sense of hostility towards Christianity, both hostility and apathy towards God and Jesus,” said Bradley Burck, chairman of the GodSpeaks board. “We’re trying to communicate that there is a God, he loves you, and he wants to have a relationship with you.” And though the newest billboards aren’t being displayed in the numbers they were when the campaign was taken nationwide in1999, they have still made enough of a cultural impact to spawn a number of imitations and unauthorized cooptions, from the playful to the hateful to the seemingly legitimate, like the one Gollish encountered in 2005. Burck and Miller’s fears of an increasingly faithless America are not entirely unfounded. The Pew Research Center’s 2014 Religious Landscape Study shows that the number of self-identified Christians in the U.S. declined by 7.8% between 2007 and 2014 while the number of non-Christian, agnostic, and atheist Americans all increased — the largest growth being seen by those who identify as “nothing in particular.” Evangelical Christians, who make up only about 18 percent of the U.S. population, dominate the religious corner of the billboard market. While CAM and GodSpeaks actively want to convert people via their billboard campaigns, many non-Christian religious organizations, on the other hand, are using billboards to try and promote understanding and coexistence. 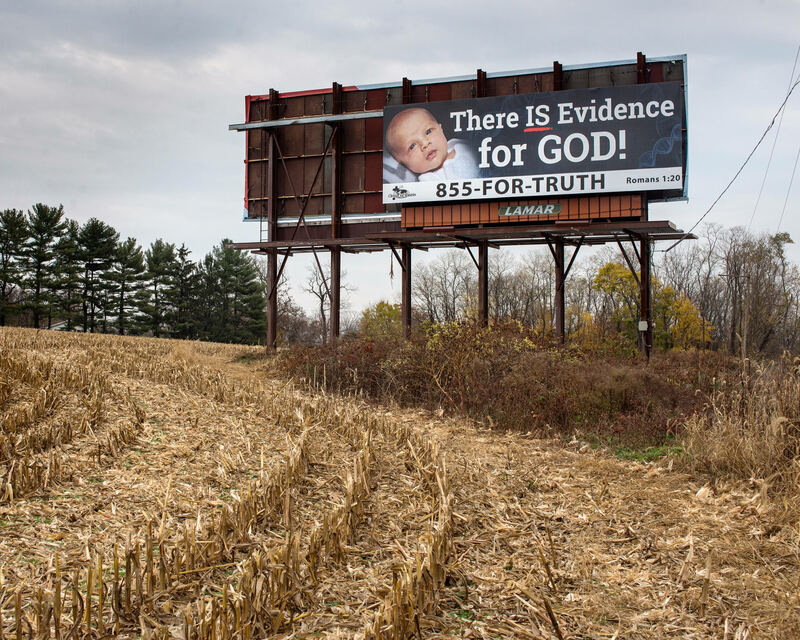 Though they don’t have nearly the exposure, or commitment to billboards, as their evangelical Christian counterparts do, they play an important role in America’s landscape. The Islamic Circle of North America (ICNA) is a grassroots American Muslim organization that has two outreach programs, Why Islam? and Gain Peace. By the end of 2016, it will have put up 143 billboards in 39 cities. “The target audience mainly is for people who are looking for accurate information about Islam and Muslims,” said Waqas Syed, ICNA’s Deputy Secretary General, who spoke to me over the phone from his office in Southern California. Each year, ICNA centers its outreach on a theme, and this year’s was anti-violence, in the hope of combating misinformation about Islam. One billboard design, which recently went up in Kansas City, Missouri, reads, “Muslims Condemn All Violence” next to a line from the Quran: “To save a life is to save all of humanity.” Another, erected in the Chicago area this summer, asks viewers: “What is Islam? Who are the Muslims?” Both advertise a hotline number for curious callers to find out more. “We believe that the people should have the opportunities to make up their minds after getting information from the Muslims themselves,” Syed told me. Muslims have long faced Islamophobia in the U.S., but ICNA’s mission to dispel dangerous myths, misconceptions, and hatred of Islam has become even more acute since the presidential campaign and election of Donald Trump, who has previously proposed banning followers of Islam from entering the U.S. Additionally, the FBI recently released data suggesting that anti-Muslim hate crimes rose 67% in 2015. Following the election, reported hate crimes, including those motivated by Islamophobia, spiked across the country, with the Southern Poverty Law Center reporting at least 49 anti-Muslim hate incidents occurring in the 10 days after the election. ICNA uses its billboards to encourage viewers to look further in hopes they will discover Islam’s peaceful underpinnings. But unlike the Christian organizations, non-theistic organizations report facing much more resistance in getting their messages on billboards. 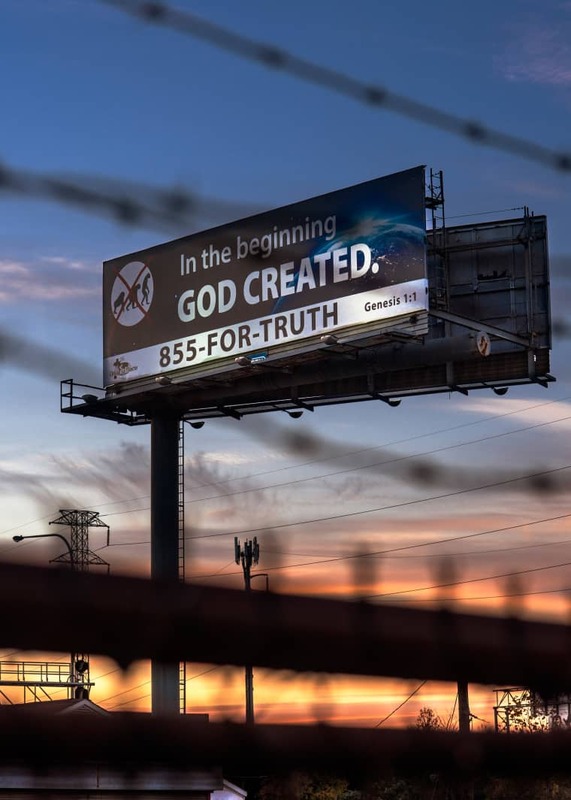 CAM and GodSpeaks have both had ad space donated to them by billboard companies at the encouragement of the Outdoor Advertising Association of America, the trade organization that represents the nation’s billboard owners and operators. 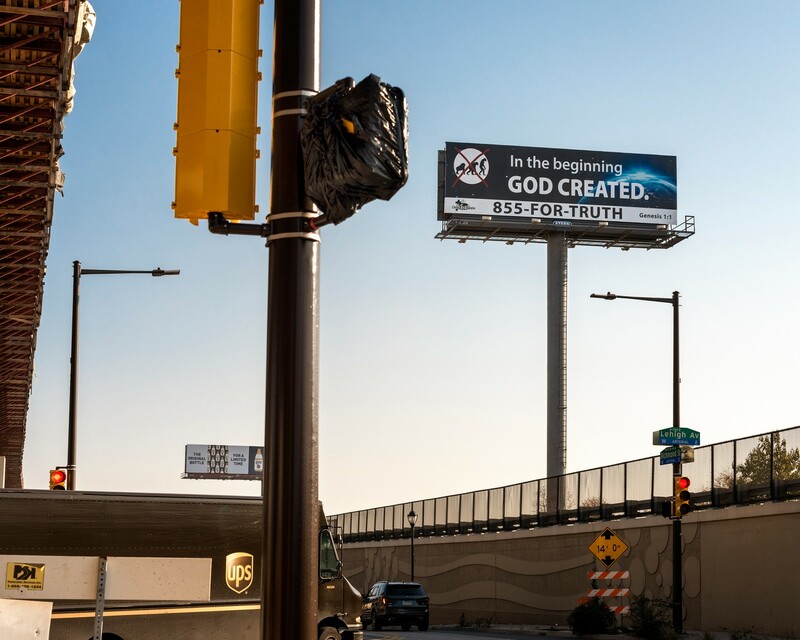 GodSpeaks’s landmark billboard campaign was only able to go nationwide, in 1999, thanks to the OAAA’s help in obtaining millions of dollars worth of donated billboard space that had become vacant due to a recent ban on outdoor cigarette advertising. On the other hand, FFRF, United COR, and American Atheists have all struggled to keep their ads up after getting billboard leases, with some even being taken down by the leasers in response to complaints by local residents, sometimes as soon as a day after first going up. 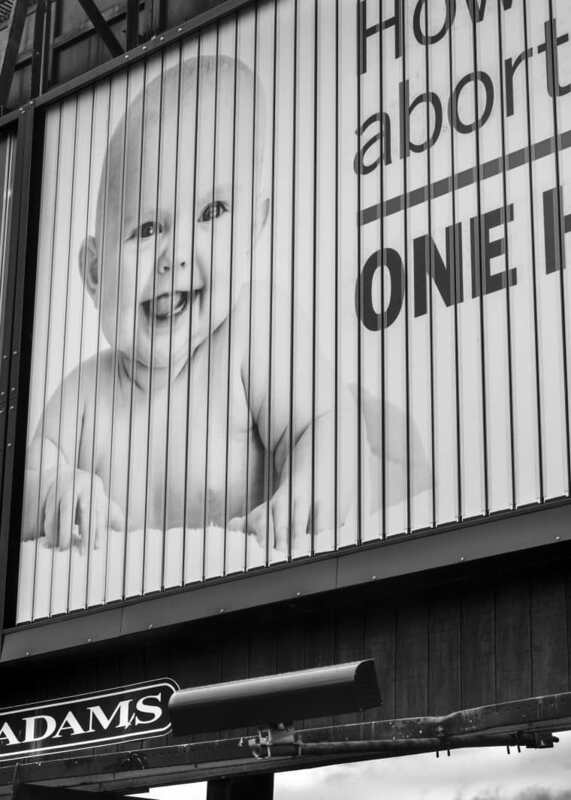 So as CAM and ProLife Across America’s billboard presences have grown in recent years, atheist organizations have focused more on digital strategies, reporting that they draw more members that way. Read The FADER's Faith Issue here. 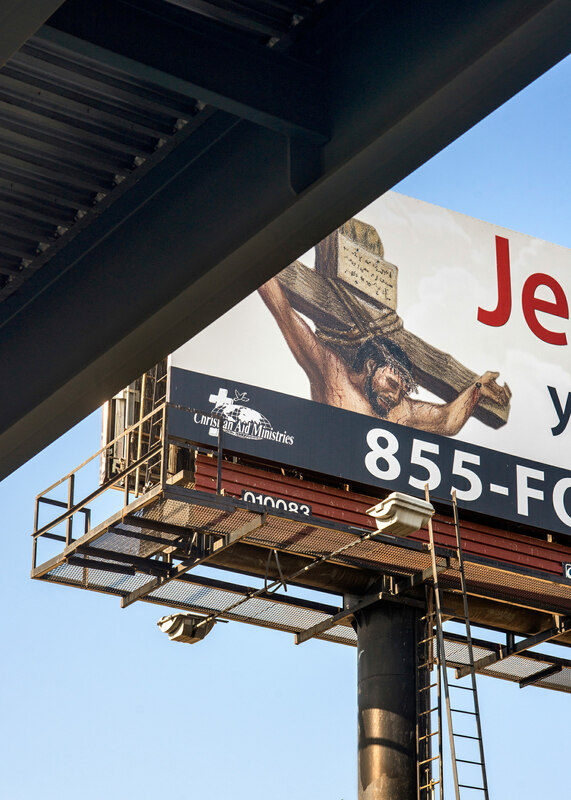 In 2016, Religious Organizations Spent More Money On Billboards Than Ever. That’s Not A Good Sign.